JPG file format is compressed image format which is standardized by Joint Photographic Experts Group (JPEG). JPG is most common image format used for storing digital photos and used by most digital cameras to save images. JPG files have 2 sub formats, one used in digital cameras and photo equipment (JPG/EXIF) and other used for storing and sending photos online (JPG/JFIF). These 2 sub formats often are not well known and are simply called just JPEG. JPG/JFIF format can support maximum image size of 65,535x65,535 pixels, up to 4 gigapixels in 1:1 aspect ratio. JPG degree of compression can be adjusted, selecting between image size and image quality. The lossy compression of JPG is commonly with 10:1 ratio. 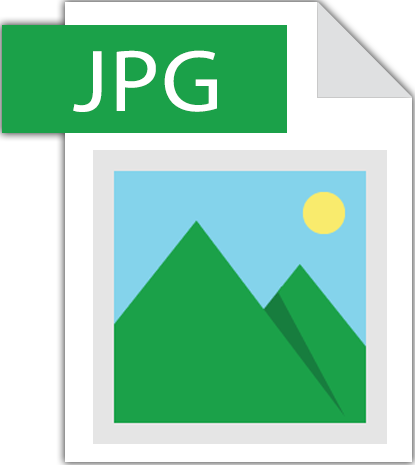 JPG format is widely used because the JPEG compression algorithm significantly reduces image file size and that contributes to faster page load time. However, using too much compression will decrease image quality significantly. JPEG compression algorithm is best if used on photographs and paintings of realistic scenes which have smooth variations of color and tone. JPEG is not suitable for graphics as line drawings and textual or iconic graphics, and these images are better saved in lossless graphic format as PNG, TIFF, GIF or raw image format. Also, JPG is not recommended for files that are planned for multiple edits, because image quality will be reduced each time when image will be recompressed. How to open JPG file? JPG files can be opened by most image editing software.